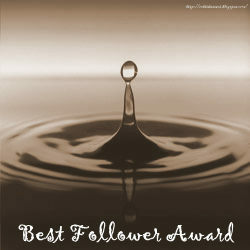 Thank you to Robin, who hosts one of my favorite blogs to read and comment on, for nominating Grandmother Musings for The Best Follower Award. At Bringing Europe Home, Robin hosts an inspiring challenge entitled: Quotes from the Masters. I wait with anticipation every week for the newest quote! Feel free to join in on the challenge by visiting BringingEuropeHome. 1. Thank the giver, link the page, and add the award to your site. 3. Pass it on to your three Best Followers. Thank you, Paul. You sure made my day as a “baby” blogger by not only liking my post, but by following it, too. I was so excited to have my first follower! NMNPHX– Nicole is an excellent writer who has a great sense of humor and writes brilliant “slice of life” articles. You can witness her humorous posts under “Commuter Chronicles” and “Silly Spam” You will love her writing and her wit. Go follow her, NOW! Hometogo232 – Diane is a wonderful and encouraging woman. She always has a kind word or a superb piece of advice to share. Her website mirrors her faith, thoughts, and creative writing. Her poetry is phenomenal! Check out Diane’s blog and follow her, TODAY! FrancineinRetirement– Francine takes gorgeous pictures of her travels and shares them on her blog. From Kayaks to the streets of New York, her vivid photos make you feel like you are there. Francine= Encouragement. In fact, every time she comments on a post she writes, “BE ENCOURAGED! BE BLESSED! I love this. Just seeing her words brightens the day. Go and be encouraged by Francine’s wonderful blog, right this moment! Posted in Awards and tagged Award, awards, blog award, blogging, Bringing Europe Home, faith thoughts, Followers, FrancineinRetirement, Grandmother Musings, gratitude, HOMETOGO232, mark sutherland, NMNPHX, postaday, recognition, thankful, The Best Follower Award, warm comments. Bookmark the permalink. Oh my! Thank you so much for the honor! And congratulations to you for being recognized yet again. WOW! I am sooo honored by your nominating me for this award. Your encouraging words are so appreciated. I am encouraged and inspired by the contents I find on your site. CONGRATULATIONS to you on receiving this award. Thank you so much for the kind words, Jamie. I’m so glad you enjoy the quotes, and I always look forward to the posts that you will create with them. Your followers look lke they have wonderful sites. I’ll be checking them out, now, too! How cool, another award! Congratulations!